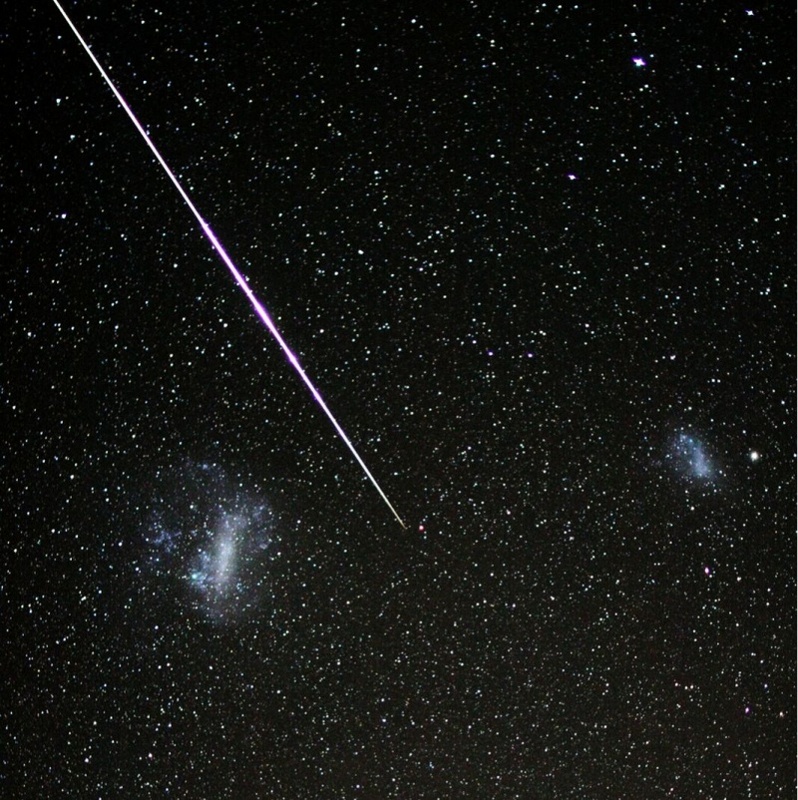 Explanation: This bright meteor streaked through dark night skies over Sutherland, South Africa on November 15. Potentially part of the annual Leonid meteor shower, its sudden, brilliant appearance, likened to a camera's flash, was captured by chance as it passed between two clouds. 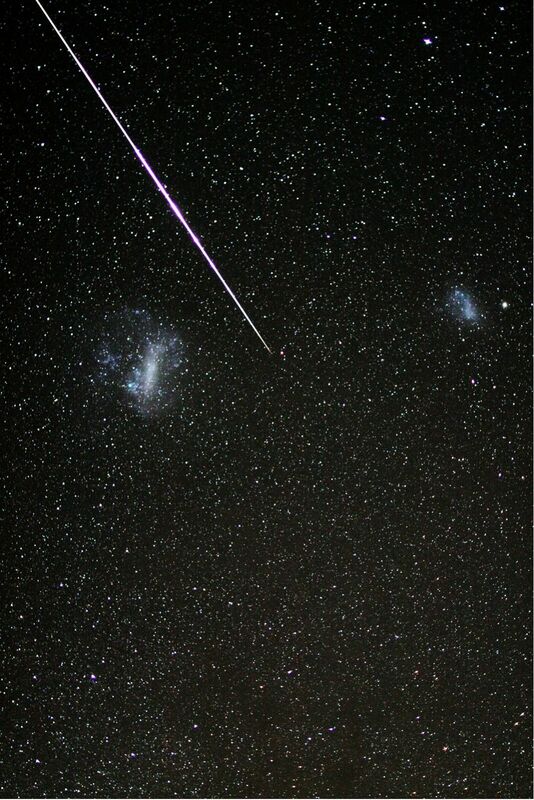 Of course, the two clouds are also visible to the eye in dark southern skies - the Large and Small Magellanic Clouds - satellite galaxies of our own Milky Way. This year's Leonid meteor shower peaked on November 17 as the Earth passed through the stream of dust from periodic comet Tempel-Tuttle.